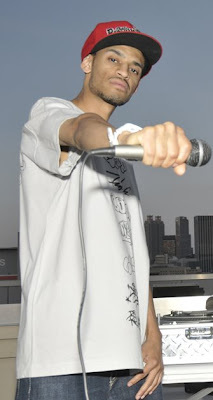 BlackRadioIsBack.com Music: Señor Kaos | BlackRadioIsBack.com - Official Blog of the Syndicated FuseBox Radio Broadcast! 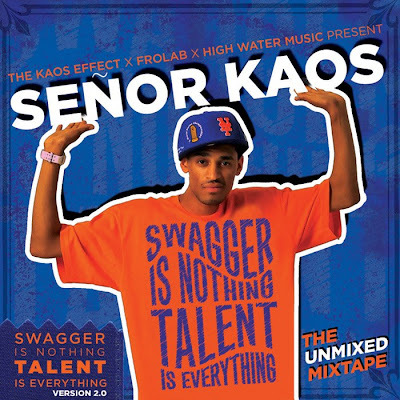 Got to give it up to my peoples over at Public Wizard for putting me on to independent Atlanta Hip-Hop MC, Señor Kaos. The current mixtape album project he has out now, Swagger Is Nothing, Talent Is Everything, Version 2.0 (on the High Water Music/Vintage Imperial label) is a dope, solid piece of work that's not dry or the same old same old. Editor's Note: I love my indie MCs, but let's face it, sometimes you're listening to the equivalent of Starbucks music in terms of ho-humdom either because the flow or production is the audio equivalent of Sleeytime Tea. I've been sitting on this joint for the past month (amongst literally 1000s of mp3s and/or CDs I'm trying to catch up on to attempt to complete an official BlackRadioIsBack.com Best and Worst of Black Music 2008 List before the end of the year) and am happy that this joint is worthy of being bumped personally from the public transportation to the whip (when I can afford gas) for Hip-Hop heads at large. Check out the Swagger Is Nothing, Talent Is Everything, Version 2.0 mixtape done by DJ Grandman of the album here and cop the highlighted single downloads in the tracklisting. Let us know what you think and hope you enjoy it!